A new standalone iOS app from LinkedIn will help users know about their co-workers better. The aim behind developing the app named LinkedIn Lookup is to allow users to have better information of co-workers, either who work in the same organization or users with a specific set of responsibilities and skills. The inspiration for developing the app came from the company's research that found only 38% of users who were polled were satisfied with their company's internal tools when it came to look for information about their coworkers. 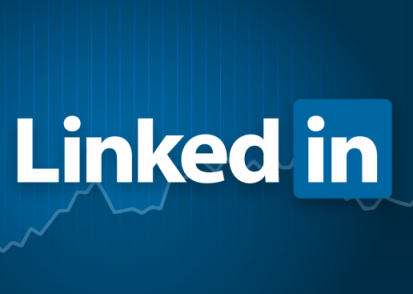 Shares of a business-oriented social networking service LinkedIn Corp. dropped 21% in after-hour trading on Thursday. The company suffered a fall in their shares after it gave a disappointing outlook regarding its second quarter. Twitter, the famous social networking site lost 23% of its value in this week till Thursday. The messaging service on Tuesday reported its revenue. The outlook offered by Twitter saddened the market experts and its shareholder, as its outlook fell short of Wall Street's expectations. In addition, the company's investors were upset when Twitter's earnings report came out inadvertently nearly an hour ahead of schedule. The steep decline came at a time when the tech-heavy Nasdaq was going through a bad time. Nasdaq was down by 3% this week. The business-oriented social networking service LinkedIn is going to buy lynda.com, privately held online education company, for about $1.5bn. The education company provides courses in many languages aimed at improving technology, business and creative skills. According to the company’s website, subscription fees for the company’s course range between $250 and $375 a year. LinkedIn, which has been headquartered in Mountain View, California, has decided to expand its services for audiences of professional users. LinkedIn also has its European headquarters in Dublin. The new deal will allow users to know what skills are required to get jobs in desired city, according to Ryan Roslansky, who is head of content in LinkedIn. Sydney, Nov 17 : Facebook is working on a new website called 'Facebook at Work' to compete with other sites like LinkedIn. According to reports, Facebook has been secretly working on the new website that would also help users connect with people on a professional front, collaborate over documents and make professional contacts, reported News. com. au. 'Facebook at Work' will offer similar feature as Facebook like newsfeed, messaging and groups. Along with the old features, the new tools will include the ability to work on shared documents. Washington, Aug 7 : LinkedIn is set to acquire B2B marketing services company Bizo in a 175 million dollar deal. According to Enterprise Innovation, Bizo's marketing platform provides a suite of B2B multichannel solutions with a "full-funnel" approach to marketing that is said to complement LinkedIn's own. Pointing out how the missions of both companies are "incredibly well aligned," LinkedIn's VP of product David Thacker, said that the acquisition would increase the ability of LinkedIn to be the most effective platform for B2B marketers to reach their audience, nurture prospects and acquire customers. Washington, July 30 : Linkedin is due to get a makeover soon with the social networking website planning to introduce a slew of features on its mobile app. The new features aim to make the app more user-friendly and provide information that is more relevant. One such feature will enable users to sift through information on the homepage depending on the amount of time they have, reported CNET. Tomer Cohen, head of LinkedIn's mobile product team, said that the focus will be on providing key information first. Washington, July 23 - LinkedIn is all set to buy Bizo, a company that makes technology for display and social advertising focused on business customers, for around 175 million dollars. LinkedIn said on Tuesday that it has agreed to purchase Bizo to bolster its advertising offerings. The company said that it will pay about 175 million dollars for Bizo, a company that makes technology for display and social advertising focused on business customers. LinkedIn said the company's technology will help to bolster its existing advertising division, which pulled in 101.8 million dollars under its 'marketing solutions' group last quarter. In response to LinkedIn's cease-&-desist order, Sell Hack has confirmed that its controversial browser plug-in no longer works on LinkedIn pages. Washington, Feb 7 : LinkedIn has reported revenues worth 447.2 million dollars and non-GAAP earnings per share of 0.39 dollar during Q-4'13. The company had predicted that its revenue for the period would be between 415 million dollars and 420 million dollars. While LinkedIn gained more than 4 percent in regular trading, its shares fell in after-hours trading over growth concerns , Tech Crunch reported. Washington, Feb 7 : Professional social network LinkedIn is buying Bright, a three-year-old service that connects job seekers with employers, for approximately 120 million dollars in cash and stock. Bright is said to be adept at using data to make its job matches, and LinkedIn plans to use the company's matching technology to improve its own recommendations, Cnet reports. The world’s largest professional-networking site, LinkedIn Corphas said that it expects its revenue during the fourth quarter of the year to be between $415 million and $420 million. Professional networking major, LinkedIn Corp has launched revamped versions of its mobile apps for different platforms on Wednesday. The new apps will focus more on stream of information shared by its users and will also allow the company to show ads to smartphone users for the first time. LinkedIn spokeswoman Julie Inouye said that the site will now start showing advertisements within the mobile app's news stream as small texts to the users. According to a new survey, about 94 per cent of the Indian women believe that they have led a successful career. A survey conducted by professional networking site LinkedIn showed that a majority of the women in the country define professional success as the right balance between work and personal life. The study titled 'What Women Want @ Work' released by LinkedIn said that 74 per cent of the wpom, en worldwide believe that they can 'have it all'. Professional networking site, LinkedIn has said that it is appointing Nishant K Rao as the new country manager for India. Rao will replace Hari V Krishnan, who is being promoted to take on a larger role as the Managing Director of Asia- Pacific and Japan for the company. As the new head of for the company in India, he will look to expand operations and increase his focus on LinkedIn's value proposition of connecting professionals in the country and help them become more successful and productive. The site is also aimed at helping organizations hire, market and sell online. On Tuesday, professional social network LinkedIn commenced the rollout of its revamped member profile pages, which will essentially facilitate the users in highlighting their skills and other job attributes in a much better way. Several popular Internet services including LinkedIn, Reddit and Quantas airline's reservation system and others crashed during the weekend due to an extra second added to the official timekeeping record even as system providers had warned of its effects on the internet sites. Experts say that mostly systems based on un-patched Linux OS kernels, Hadoop instances, Cassandra databases and Java-based programs faced downtime due to the extra second. The concept of leap seconds was introduced in 1971 as a way to synchronize Coordinated Universal Time (UTC) and mean solar time. Leading business networking site, LinkedIn has said that the hackers have stolen passwords of some its users. The hackers have released 6.5 million stolen passwords there were released on a hacker portal in Russia. The breach of the networking site is significant because of the amount of sensitive personal information stored by its users on the site. There are suggestions that the hackers might now dupe high level executives to spread malware. The site has informed its users to change their passwords. World's largest professional network, LinkedIn has set up a new technology centre in southern Indian city of Bangalore. The new centre will be the first outside its headquarters in Mountain View, California in the United States. LinkedIn has 135 million members from across the world and more than 12 million in India, making it the second biggest user base for the company.